Choosing a good smartphone is important because it is going to be your companion for the next few years. Your needs decide the best smartphone for you. 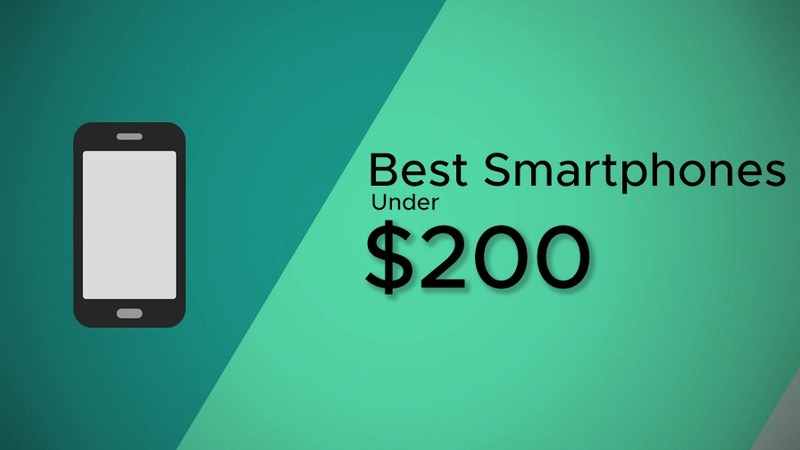 So in this Post, we have compared best smartphones under 200$. 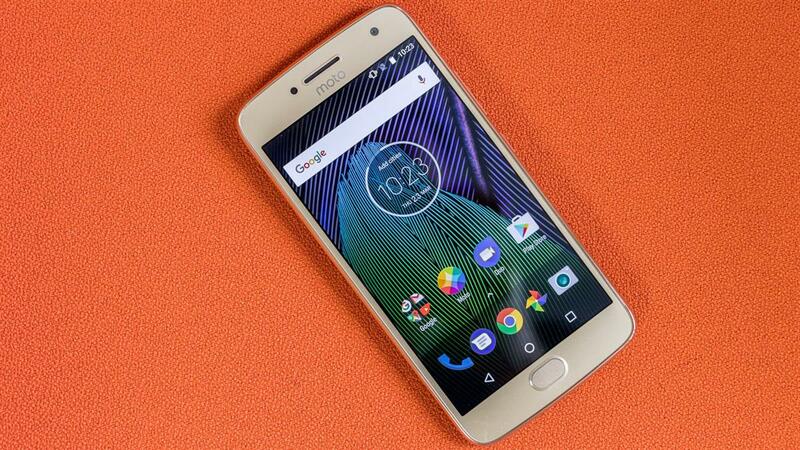 Moto series always bring some good smartphones for a low price tag, and Moto G5 plus is no different. A well-designed smartphone and the build quality is premium. Bezels are big with a Chrome-like finish on corners which can be good or bad for some people. The Software is near Stock Android and is easy to use. The performance is also fast enough to handle any daily to daily tasks. Moto G5 plus contains a Snapdragon 625 Octa Core Processor and 3/4 GB RAM. Performance is up to the mark, Navigation is quick enough and 3 GB RAM helps in multitasking and Apps switching. 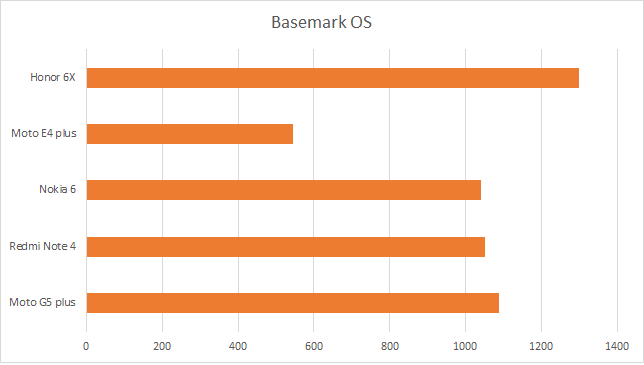 There are some heating issues on playing games but it looks like every budget smartphone have the issue. Coming to the Camera: Its Good enough comparing to the Competition. Photos taken with it look well saturated with good color reproduction. The Camera app is easy to use and it also gives some manual controls. Moto G5 plus has a 3000mAH battery. Battery life is average, it lasts for a day on Medium usage. Rapid charging is here which help in charging the phone to 50% under 20 minutes. 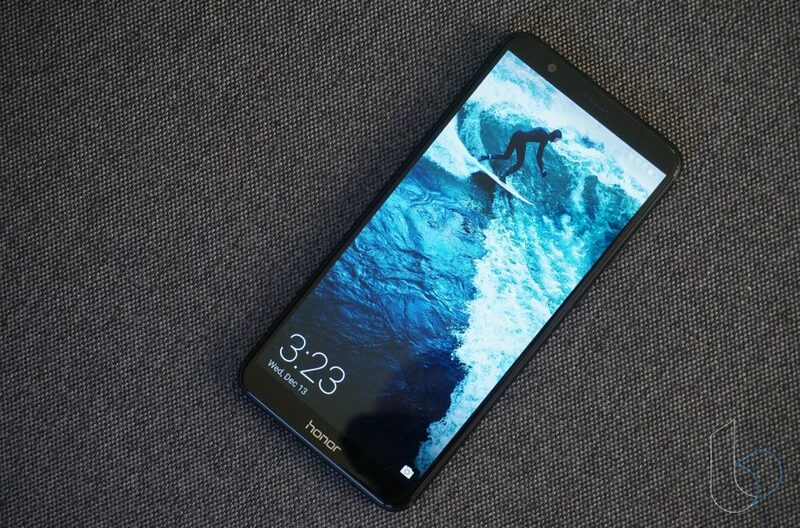 The newest entry in the list, Honor 7X is the only smartphone on the list which sport 18:9 display which is near bezel-less. The first thing you will notice is the screen, its look beautiful. Corners are sharp and not curvy like other 18:9 displays. The resolution is 2160*1080 with 407PPI which make the screen “budget class”, overall the screen is decent. The battery life is another important factor and honor 7X does well here. With 3340 mAh battery which sounds like “Just 3340”, the Honor 7X gives a good battery life overall. Huawei did the optimization and you can expect a full day usage on this device. Honor 7X sport a HiSilicon Kirin 659 Octa-core CPU (4×2.36 GHz Cortex-A53 & 4×1.7 GHz Cortex-A53) which is good enough to give smooth performance. Playing games is easy and navigating feels nippy. Thanks to the EMUI 5.1 (Android Nougat) which is near Stock Android in most of the part. EMUI also gives some extra features compared to stock Android. The build quality is also good, Smartphone has rounded edges and has metal all over it. It looks and feels premium. There is a dual lens camera behind which look like a minion. Coming to the camera, it is just decent. Using the camera straight away may disappoint you but after tackling with manual modes, you can get some nice pictures. The fingerprint sensor is one of the best in class. 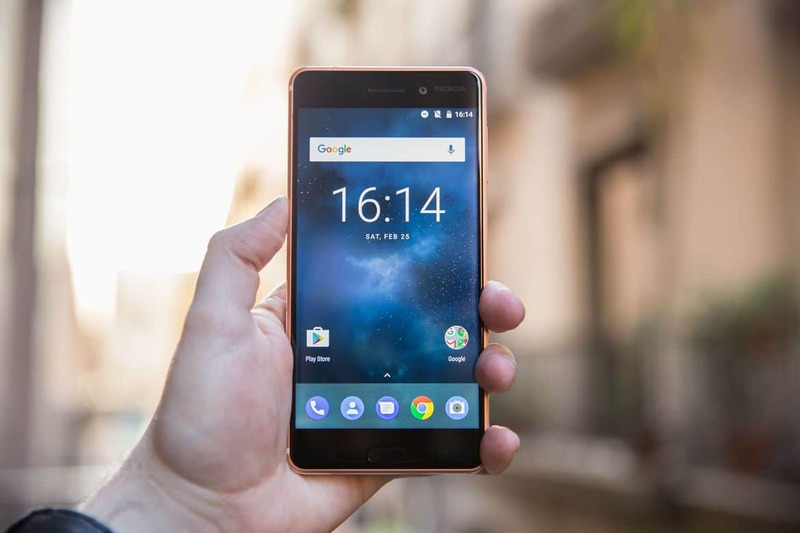 Nokia 6 is a smartphone which focuses on User experience instead of competing at papers. The hardware is outdated compared to the other smartphone on the shelves right now. The design of this phone is maybe the best in the segment. It resembles that old Nokia Lumia design and looks pretty good. The 2.5D Curved glass makes it pretty on the front. The 6000 series Aluminum gives the strength to the body of Nokia 6 which will help in some rough situations. The performance is where Nokia 6 struggles in the competition. 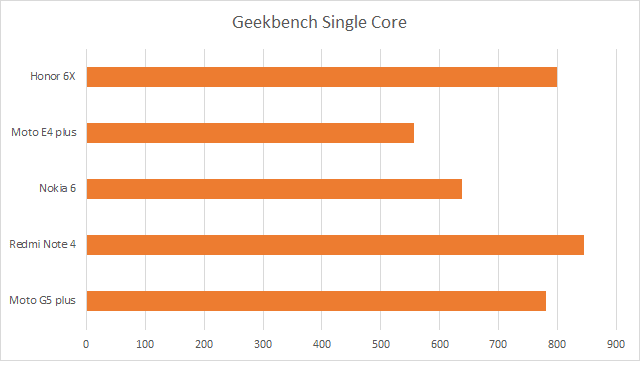 The Snapdragon 430 is not as powerful as Snapdragon 625, which the competition is offering right now. Some small hiccups are there when you switch apps. Some Games can make this phone wobble. The camera gives decent pictures if there is enough light but struggles in low light. Battery life is slightly better and last for a day on Medium usage. No fast charging is present. 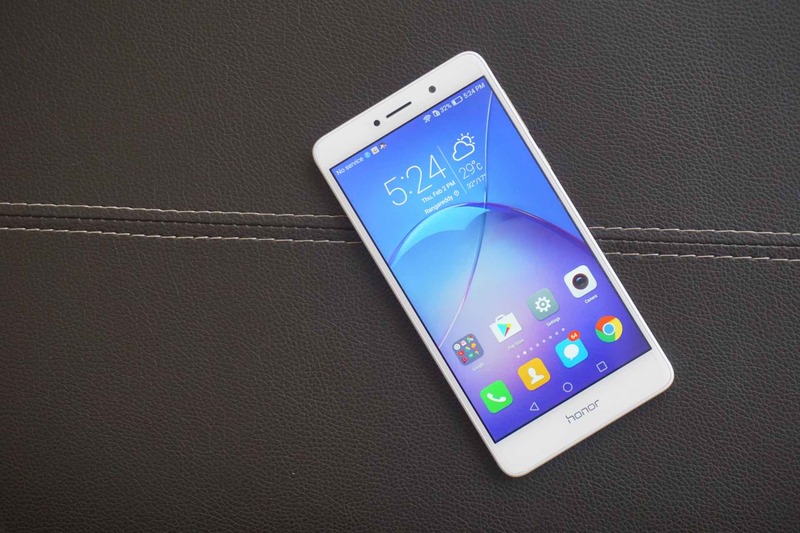 Honor 6X follows the Metal design trend like other budget smartphones. With 2.5D curved glass, this phone looks premium and there is no complaint about its design. The display is not a Gorilla glass and it can scratch pretty easily compared to the competition. It is powered by a Kirin 655 and 3/4 GB of RAM. The performance is good and it can handle all daily to daily task pretty easily. Heavy Games can be played easily. Performance is the best part of Honor 6X. Honor 6X offers a Dual Camera setup but it is no more than a Gimmick. The Camera takes good pictures though but that second camera is simply nothing. Battery life lives up to the expectations and lasts for 1.5 days with Heavy to Medium usage. Redmi Note 4 is the most sold smartphone in India. And there is a reason behind it. Redmi Note 4 is all Metal which gives it a premium feel. The hardware is also good for the competition. But the price of this smartphone makes it the best buy under 200$ price range. 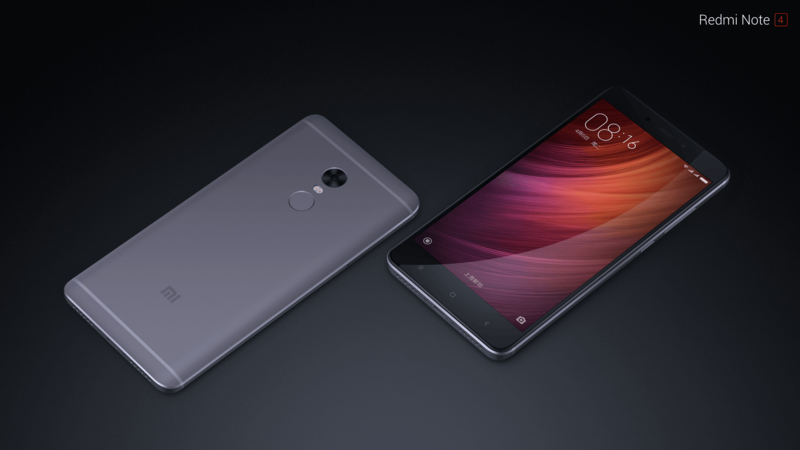 Redmi note 4 has a Snapdragon 625 and 2/3/4 GB of RAM. The performance is pretty good but we recommend the 3/4 GB RAM version because it will give a better multitasking experience. Redmi note series always bring big battery sizes. The battery life of Note 4 is good and it will last a day easily on heavy usage. The Camera does a great job and it is up to the level of Moto G5 plus. Overall Redmi note 4 is a great package. MIUI is beautiful but it gives too many apps which affect the performance. Fingertip sensor is also not fast enough and there is no fast charging. But looking at the competition right now, this phone is a winner. 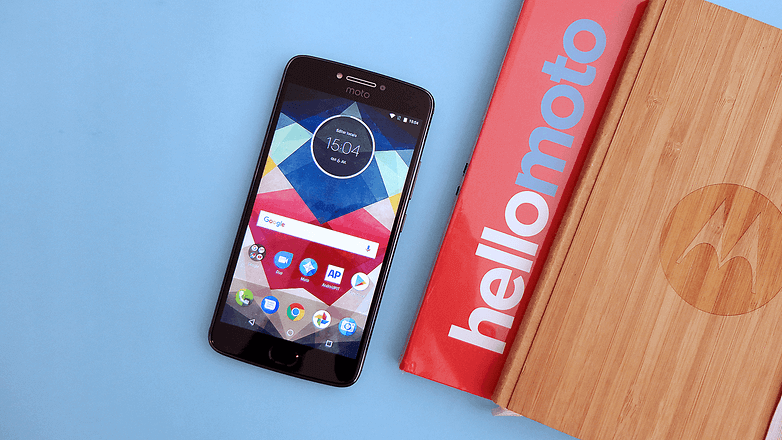 Moto E4 plus is a battery giant smartphone with Smooth performance and a Good design. This phone follows its big brothers G5 plus in term of Design. It is Metal and that Chrome lining at the edges. Overall the design is pretty good. The big battery makes this smartphone bulky and it weights at 198 Gram. So it is a bulky and heavy phone. The performance, however, is good. Although the hardware looks mediocre on papers, in real life it is satisfactory. The camera is not that great if you compare it with like Redmi note 3. Pictures taken with it are Muted with bad color reproduction. F/2.0 aperture is a good feature in the Segment. The battery life is the major feature of Moto E4 plus and it just blows out every other smartphone out of the water. It can last up to 2 days on heavy usage. The less powerful Processor and a 720P display increase the battery life. This is a Battery life test which Gadget360 performs on every smartphone they review. No matter what, if a smartphone cant performs then it can be a headache to you in future. Thanks to Snapdragon for some powerful Processors which performs well on a daily basis. 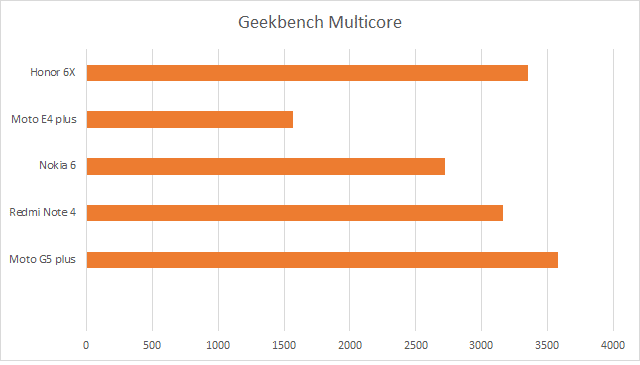 So what specs are good for you, Most of the smartphones are powered by Snapdragon 400 and 600 series which is efficient and powerful at the same time. Moto G5 plus and Redmi note 4 are both powered by Snapdragon 625. But the near Stock Android of Moto G5 plus make it faster than the Redmi note 4 which is using MIUI. Now, MIUI is not bad at all, in fact, it gives more features than Stock Android but these extra features make it a heavy ROM. Redmi Note 4 is also cheaper than Moto G5 plus. A few years ago, Metal was a thing of Flagships smartphone but thanks to Chinese Companies which introduced full Metal design in the Budget devices. Metal feels premium and it also gives strength to the phone. Most of the phone using Metal Design but one smartphone stand out of all which is Nokia 6. Nokia 6 brings a new and unique Design with good build quality. Taking inspiration from Lumia series and with 6000 series Aluminium, this smartphone wins in term of Design. No debate and Comparision needed, Moto E4 plus is the winner in battery life. With 5000mAH Battery and a 720P display, this smartphone can last two days (easily) on Medium to heavy usage. 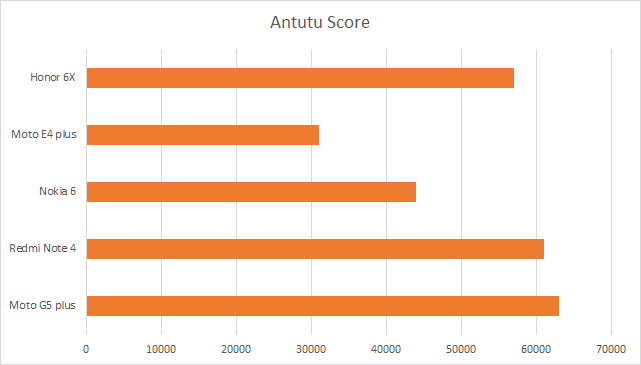 So if you ask us that “Which smartphone performs well in all department”. My answer would be Moto G5 plus. It ticks all the boxes when it comes to Design, Performance, Battery life and Pricing. It is the only phone which gives you a Stock Android Software. Also, Redmi Note 4 is a good deal below 200$ price tag. It also ticks all the boxes of battery, pricing, camera, and design. Although the Design is generic and the bloatware is there, this smartphone doesn’t disappoint in the day to day usage.